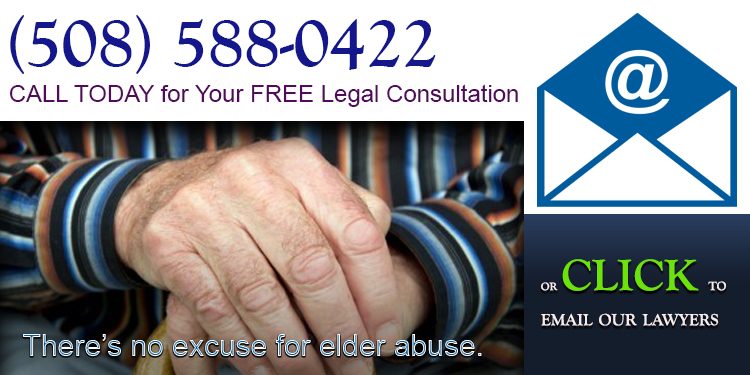 Did someone you love suffer elder abuse or neglect at Copley at Stoughton Nursing Care Center? Our lawyers can help. Copley at Stoughton Nursing Care Center is a for profit, 123-bed Medicare/Medicaid certified skilled nursing facility that provides services to the residents of Stoughton, Canton, Sharon, Randolph, Brockton, Holbrook, Easton, Norwood, Walpole, Foxborough, Abington, Mansfield, Braintree, Westwood, Dedham, and the other towns in and surrounding Norfolk County, Massachusetts. Copley at Stoughton Nursing Care Center focuses on 24 hour care, respite care, hospice care and rehabilitation services. The Centers for Medicare and Medicaid (CMS) rates all nursing homes that accept medicare or medicaid benefits. CMS created a 5 Star Quality Rating System—1 star is the lowest rating and 5 stars is the highest—that look at three areas. As of 2017, Copley Nursing Care Center in Stoughton Massachusetts received a rating of 4 out of 5 stars. Based on record review, staff interview and observation, the facility failed to ensure that medications were administered according to physician’s orders for one resident (#22) of 22 sampled residents. Standard reference: Standard of Practice Reference: Pursuant to Massachusetts General Law (M.G.L. ), chapter 112, individuals are given the designation of registered nurse and practical nurse which includes the responsibility to provide nursing care. Pursuant to the Code of Massachusetts Regulation (CMR) 244, Rules and Regulations 3.02 and 3.04 define the responsibilities and functions of a registered nurse and Practical nurse respectively. The regulations stipulate that both the registered nurse and practical nurse bear full responsibility for systematically assessing health status and recording the related health data. They also stipulate that both the registered nurse and practical nurse incorporate into the plan of care, and implement prescribed medical regimens. The rules and regulations 9.03 define standards of Conduct for Nurses where it is stipulated that a nurse licensed by the Board shall engage in the practice of nursing in accordance with accepted standards of practice. Resident #22 had [DIAGNOSES REDACTED]. This record was a closed record review. According to the clinical record, this resident was alert and oriented and was at the facility for a short rehabilitation stay prior to returning home. According to physician orders, this resident was receiving Fish Oil capsules 1200 milligrams (mg) daily and calcium tablet 600 mg daily. Discontinue Fish Oil capsules 1200 mg. Begin Fish Oil capsules 1000 mg daily. Discontinue calcium 600 mg daily. Begin calcium tablet 500 mg daily. Review of the February electronic medication administration record (emar) indicated that the above orders were not transcribed onto the February emar and not administered as ordered. On 2/4/17 and 2/5/17, the resident received Fish Oil 1200 mg and Calcium 600 mg instead of physician ordered Fish Oil 1000 mg as ordered and Calcium 500 mg. On 3/1/17 at 12:45 P.M. the facility Director of Nurses (DON) was interviewed and confirmed the error. Based on staff interview and facility emergency narcotic drug log review, the facility failed to ensure that the emergency narcotic drug kit was properly reconciled. On 3/1/17 at 2:15 P.M., the facility emergency narcotic drug log was reviewed with Nurse #1. Nurse #1 removed the emergency narcotic drug kit from the secured locked storage box on the Adams Unit medication room. The drug kit was opened. The emergency narcotic drug log was reviewed with Nurse #1 for accuracy. According to the emergency narcotic drug log, the kit had been delivered to the facility on [DATE]. The kit was signed in by the receiving nurse. There was no further documentation to indicate the kit was opened and no information as to any medication that had been removed for administration to residents. Nurse #1 counted all the medication in the emergency narcotic drug kit with the surveyor present. There were 4 Ativan (antianxiety medication) missing from the kit. Nurse #1 explained that there was a sheet (narcotic kit usage form) on which the nurses document any medication used from the emergency narcotic drug kit. The narcotic kit usage form is returned to the pharmacy for a record of the medications used. According the narcotic kit usage form, one Ativan was removed on 3/1/17 at 4:00 A.M. and 3 were removed on 3/1/17 at 8:45 A.M However, this information was not documented in the emergency drug kit log. Therefore, there was no permanent record in the narcotic log of the countable medications used including which residents these medications were administered to. On 3/1/17 at 2:30 P.M., the lack of proper reconciliation for the emergency narcotic drug kit was reviewed with the facility DON. Based on observation and staff interview, the facility failed to ensure that for one resident (#17) of 22 residents proper infection control guidelines were followed for hand washing. On 2/27/17 at 8:00 A.M., Nurse #2 was observed during a medication pass observation on the(NAME)Unit. Nurse #2 was preparing medications for Resident #17 which included liquid tears one drop to each eye four times daily. Nurse #2 gathered nonsterile gloves along with the medications including the liquid tear eye drops from the medication cart and entered Resident #17’s room. After administering the oral medications to Resident #17, without performing hand hygiene, Nurse #2 applied nonsterile gloves. Nurse #2 administered the Liquid Tears one drop to each eye for Resident #17. On 2/27/17 at 8:15 A.M., Nurse #2 was interviewed by the surveyor. Nurse #2 was unable to explain why hand hygiene was not performed prior to administering eye drops to Resident #17.